Learn everything from how to choose the perfect pumpkin to how to carve an eye so realistic that everyone who sees it will be blown away. 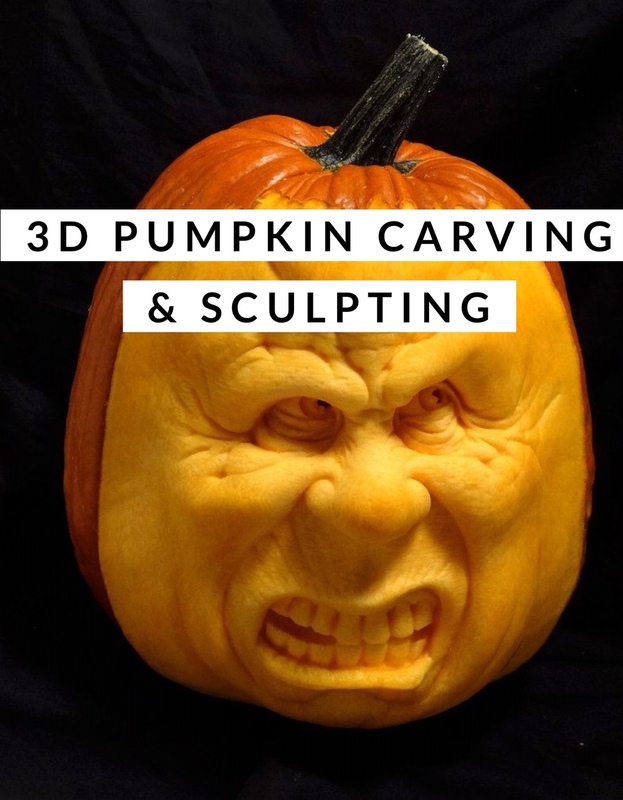 Five years ago Satcher was studying the works of Bernini and Michelangelo in person in Italy with clay in hand but this October he is setting the clay aside to teach you how to transform a pumpkin into a spooky three dimensional work of art. Satcher blends his knowledge of anatomy, design, and all things strange to show you how to create amazing organic pumpkin creations. Learn everything from how to choose the perfect pumpkin to how to carve an eye so realistic that everyone who sees it will be blown away. Lessons will be provided on picking out a good pumpkin for 3D carving, the minimal essential tools needed for the process, roughing in a unique and fun face, pushing into the pumpkin and how to know how far is to far, how to sculpt wrinkles and other tertiary forms, how to use an xacto to make details pop, how to sculpt emotional and believable eyes. This course has no prerequisites.